The one-day, user-friendly solution: Engineered to outperform the competition. 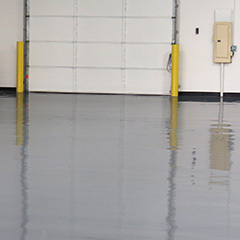 Penntek’s Solid Color Polyurea System is a high performance, dependable option. Designed for cold weather installations, this system remains flexible while standing up to repeated freeze and thaw cycles. Choose from a high gloss or matte finish to suit your customer’s needs. This Solid Color Polyurea System offers a wide spectrum of textures and colors, with full custom color matching available. This system can be installed in a single day, allowing minimal down time for clients. The UV stable topcoat can be either a matte or high gloss finish. A second clear coat will enhance the gloss and performance. 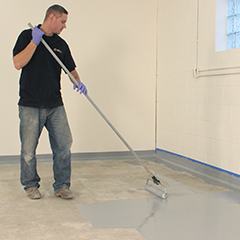 Penntek’s Solid Color Polyurea System is very easy to maintain and designed to hold up to harsh conditions and extensive use.